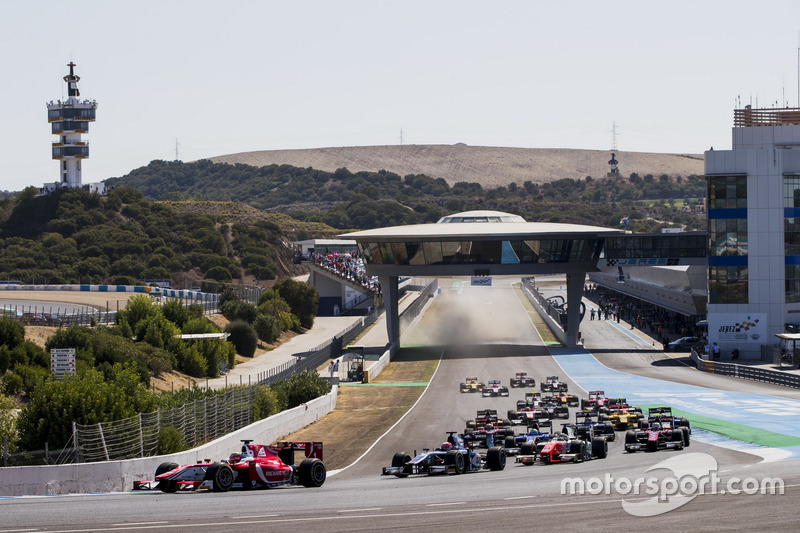 An assured showing at Jerez allowed Charles Leclerc to clinch the Formula 2 title with three races to spare, despite a miscommunication that nearly postponed his coronation. 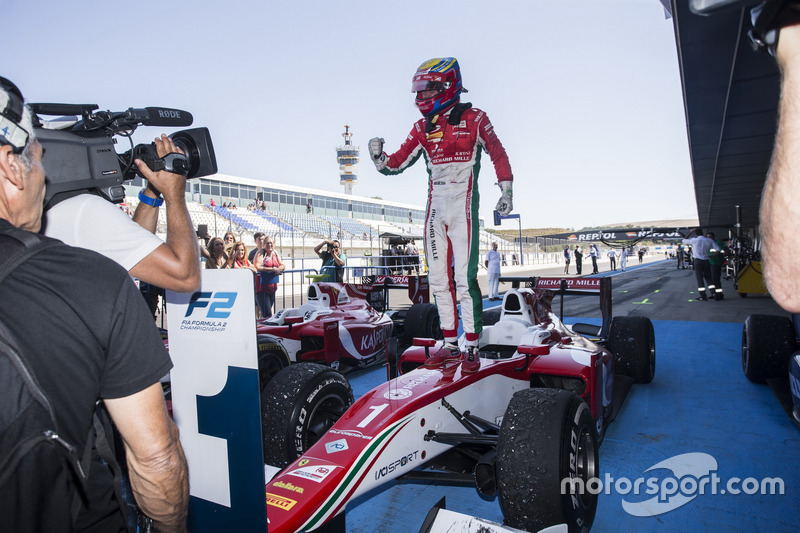 This past weekend at Jerez, I officially became Formula 2 champion – a great achievement for myself and my Prema team, even more so because we did it with three races left to run. Not everything went our way this season and there's been some bad luck, so to wrap it up early feels pretty incredible and is a big relief. The race we won it in was a stressful one, probably the most stressful of the season because of how close it was – and because I absolutely wanted to make sure of the title then and there. 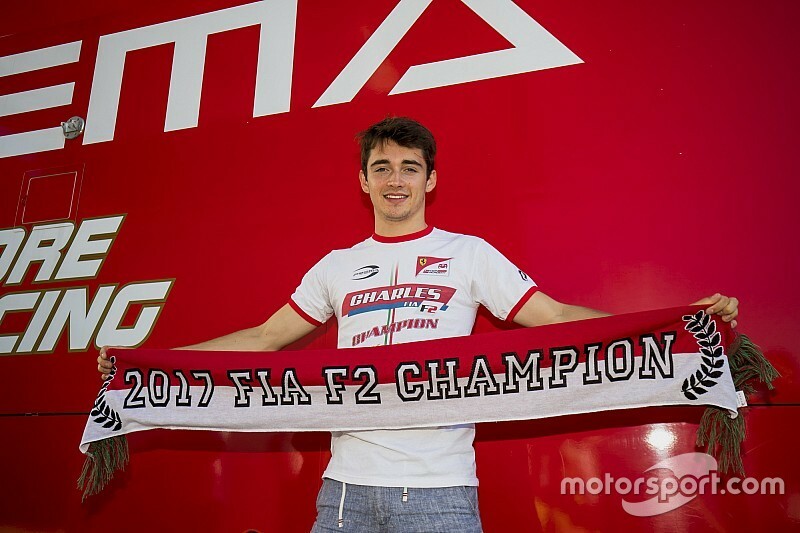 At the same time, last year when I won the GP3 title it was a bit of a mixed feeling, because I didn't finish the race. Here I won the championship and the race, which is much better. Ahead of the weekend, we were well aware that a pole and victory in the first race would be enough for the title – and that was our entire focus. Qualifying was most important, because of how hard it is to overtake at Jerez. We used three sets of new tyres in qualifying, one medium and two soft. 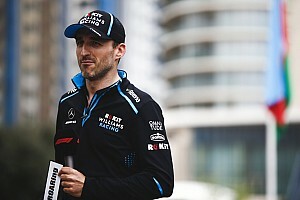 I think we had potential to do pole even without using up so many tyres, but this strategy gave me a little bit more confidence in the car and made it a more comfortable pole position. The start was another important point, and it went very well. The whole first stint, on options, was very strong, we pulled a gap of something like 11 seconds. But prime stint wasn't as good. 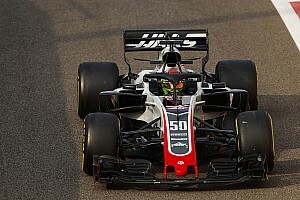 We've now looked into it and found the issue, which is more track-specific than anything and shouldn't hurt us in Abu Dhabi. 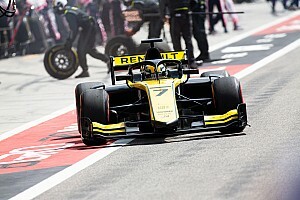 But we'll work to address it anyway, for the team's benefit, in case the series is racing at Jerez again in the future. I lost much of my advantage during the prime stint, and our championship rival Oliver Rowland was closing in massively. But I'm not sure he would've caught me normally - I think he pushed very hard initially and tried to get me to respond and use up my tyres. And then the safety car came out. 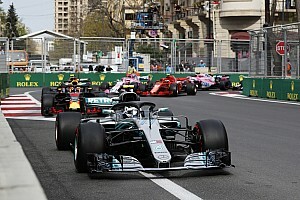 This had me quite worried – I knew some drivers were on a different strategy and would have much fresher tyres in the end. I was concerned for the win, but I knew my main goal was to stay ahead of Oliver, whose tyres were probably in a similar state. I pushed like crazy for one lap, made it to the start-finish line, and heard “okay, there was an error, you need to continue”. This was a serious problem. I was not counting on more laps and my tyres were overheated badly. And it was getting worse. Instead of just one lap after the restart, I had to do four. So by the end my tyres were completely gone. It was very stressful, but we held on, for both the race win and the championship. Because we focused on getting the title through qualifying and the first race, we were at a big disadvantage in the Sunday sprint race. The qualifying lap on primes took a lot out of them, and since we were starting with that set, we always planned to make a stop and change tyres. But to be honest, we were still shocked by just how quickly the primes wore out and underestimated the sheer effect of the lap in qualifying. Because of this, we made the switch to softs early. I pushed like crazy on the softs because I really wanted the podium. Unfortunately, all weekend in Jerez it was very hard to predict when the tyre dropped off, it would always be very unexpected. I suddenly lost the grip on the last lap, and once it's gone, it doesn't come back. It's a shame to have only finished seventh, but we knew it would be a difficult race because of how we approached the weekend. Honestly, it feels weird to be champion already. It's difficult to realise it, and I think I'll only realise I'm champion after the final race weekend. My mind is already on Abu Dhabi, thinking about how we can win that race, how we can dominate the weekend. 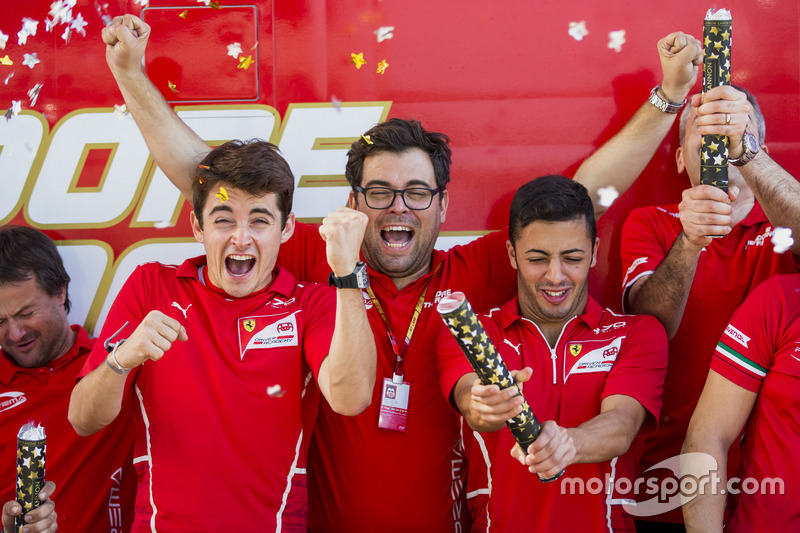 Prema still has a team championship to win. It's a very close fight there, and it's very important to me, as I would love to reward the team for their amazing job this season. 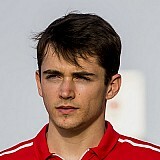 I also really want to go for pole position, because I have a chance to set the new overall GP2/F2 record at nine poles. And seeing that we've been very quick all year, I don't see any reason why that shouldn't happen.